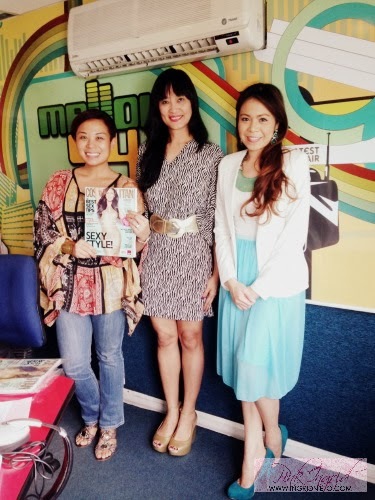 My partner Chloe and I with Cosmopolitan PH Editorial Director Myrza Sison. She came by to promote the Cosmo November issue with Miss World 2013 Megan Young on the cover. With Meeya and Ryan of Papelito. The husband-wife team behind the cute notepads and cards you’ve seen on Instagram. 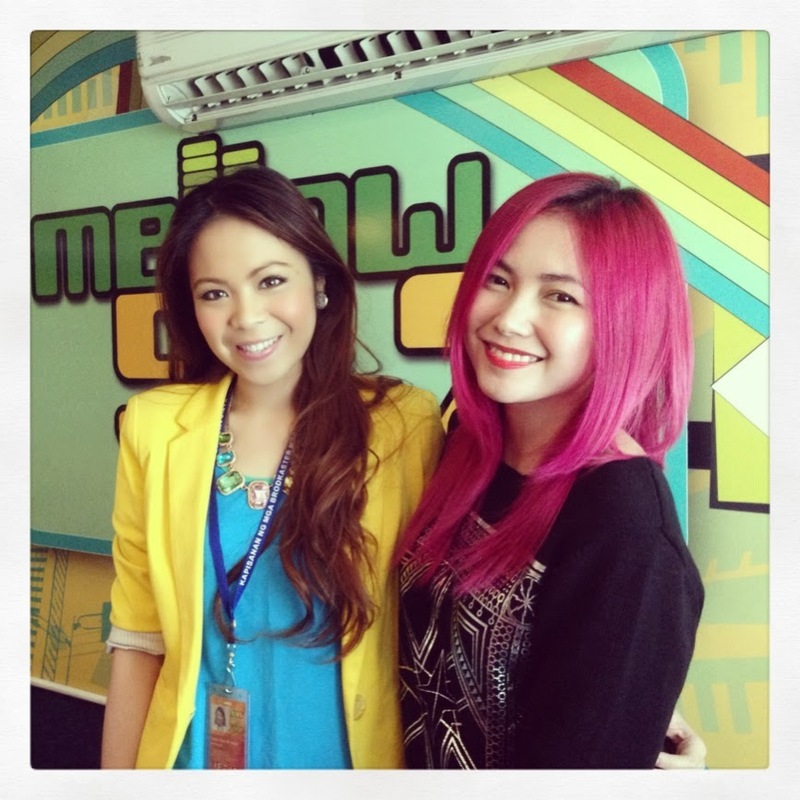 Yeng dropped by to promote her new single “Better Than Yesterday” featuring Singaporean rapper Sheikh Haikel. 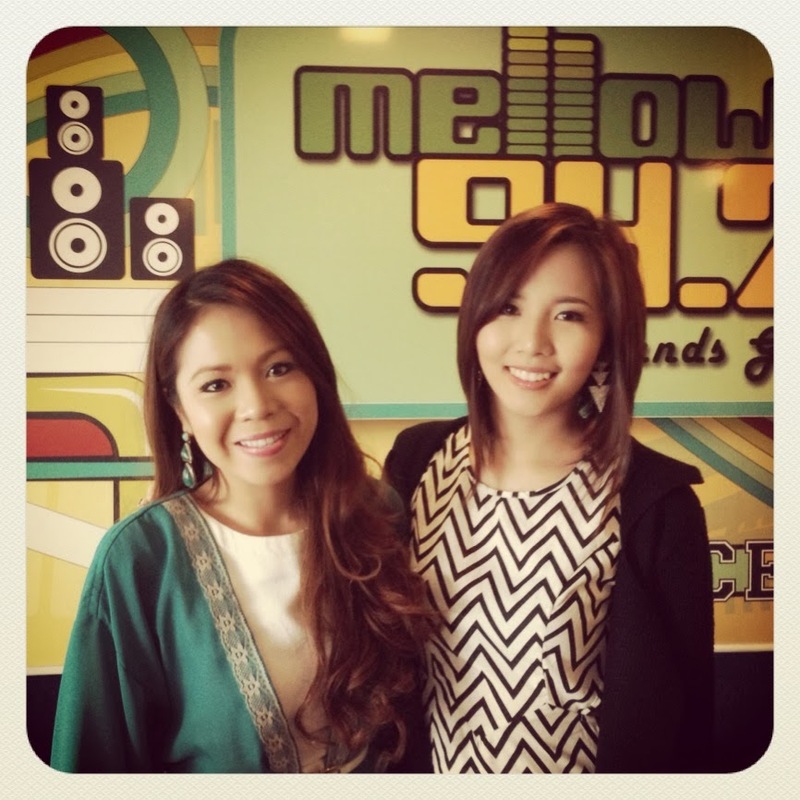 Released early this month, Yeng has been flying back and forth to Singapore as the Academy of Rock Ambassador. She also plugged her November 30 birthday concert which will be held at the Samsung Hall of SM Aura Premier featuring Sam Milby and Rico Blanco. 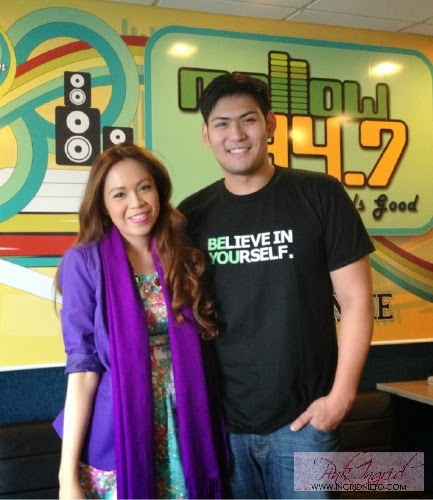 Me with Marion Aunor, a young singer/song-writer who placed third in the Himig Handog Love Songs 2013. 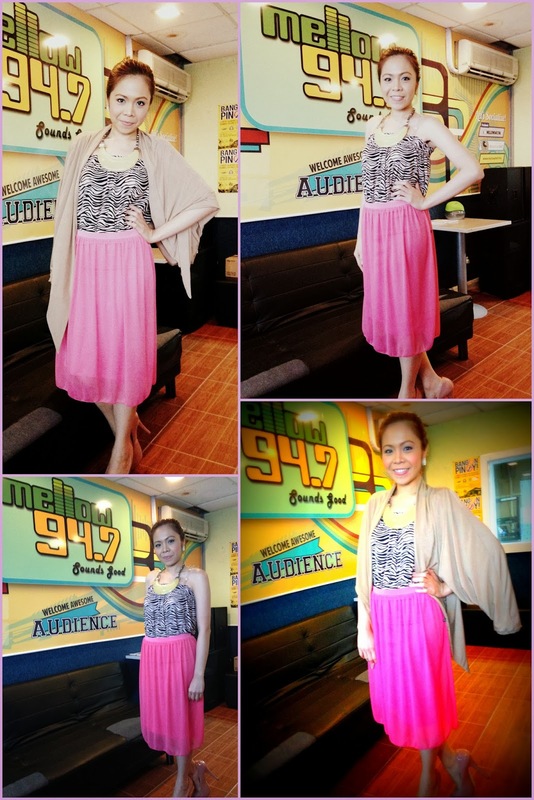 She’s out with her self-titled album from Star Records. Orange, pink and purple. 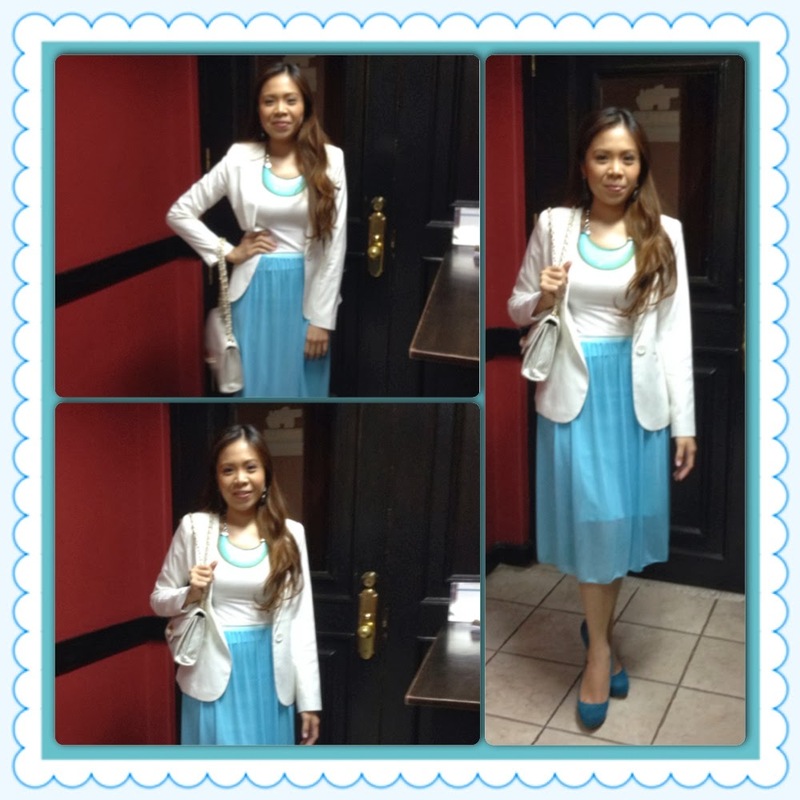 Orange tank from CCII, skirt from Philosophy, necklace from Larndmark, coral pumps from Forever 21, blazer from The SM Store. My good friend and “brain twin”. If I were a boy, I’d be Miguel Mendoza! We haven’t seen each other since Halloween in Boracay, but we’ve always kept in touch. I’ve witnessed how he’s matured musically and I’m more than delighted that he’s finally graduating from his Music Production course at DLS-CSB! His thesis concert called Here I Am will be staged on December 6 and 7 at the School of Design and Arts Theatre, College of St. Benilde. All proceeds will go to Yolanda victims. 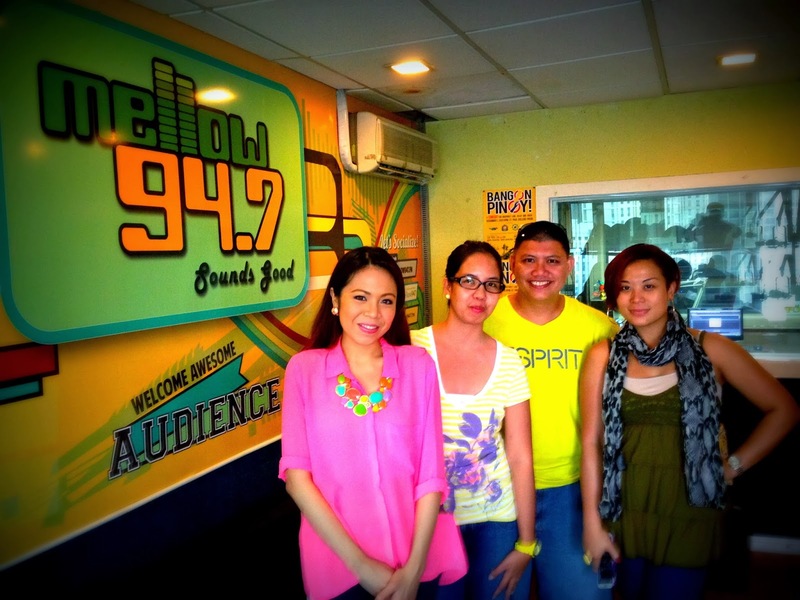 That’s November at Mellow947–busy but happy! I’ve also been meeting with my December couples for the final touches to their weddings. Looking forward to a great December! The Metro’s Biggest Shoe Store is in SM Makati!